"Providing cost-effective, integrated, specialist legal services in South Africa and internationally".... In 1931, Solly Miller founded the firm in George as a sole practitioner. Ever since its humble beginnings, the firm has grown from strength to strength. 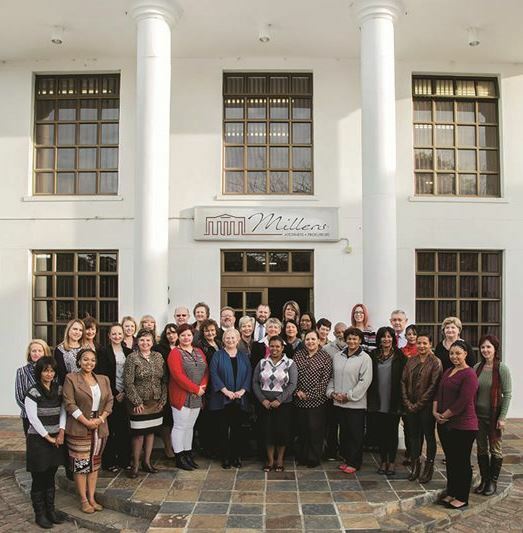 The George Office consists of six Directors, six Professional Assistants, two candidate attorneys and 40 support staff, making it the largest Law Firm in the Southern Cape. Millers Incorporated is a firm employing only the finest legal practitioners and support staff. The firm is progressive in its thinking and is proud of its involvement in the Southern Cape community an broader legal community. It strives to improve the quality of services it renders to its broad client base, by consistently encouraging further studies and continued education of its staff. To this end, the firm regularly sponsors study fees on behalf of staff members who wish to further themselves in their chosen fields of speciality.